Press down on the pilot’s seat for lights, sounds and a song about “high & low”! 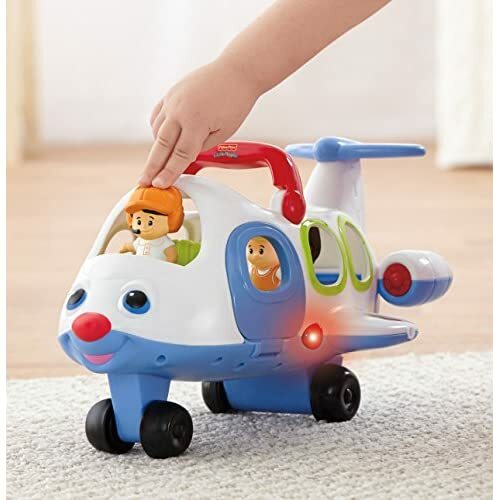 Push the plane along for a wiggly-wobbly ride! High and low, high and low; up in the sky and away they go! 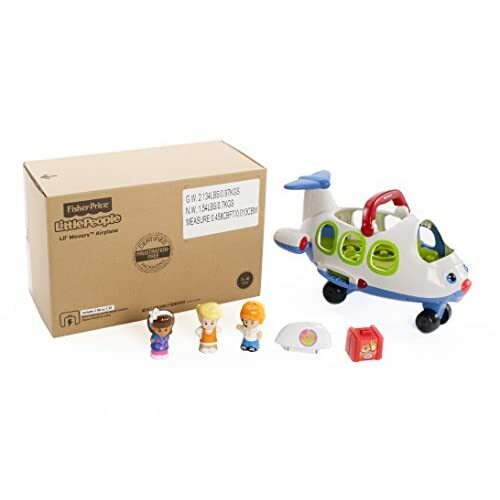 Lights, sounds, talking, and a fun sing-along song about “high” and “low” help kids’ imaginations take flight on the Fisher-Price Little People Lil’ Movers Airplane. 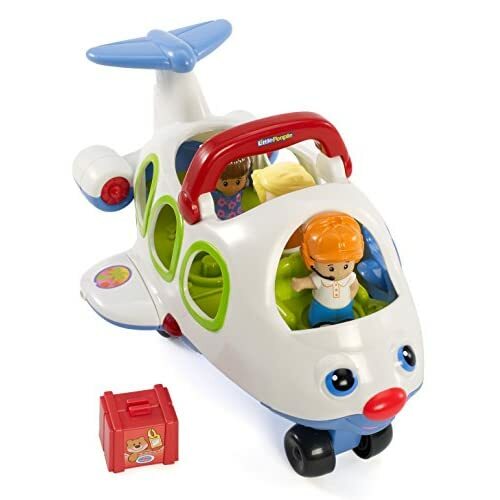 Put Pilot Koby in his seat and press down to hear him say “Ready for takeoff!” along with cool takeoff sounds! 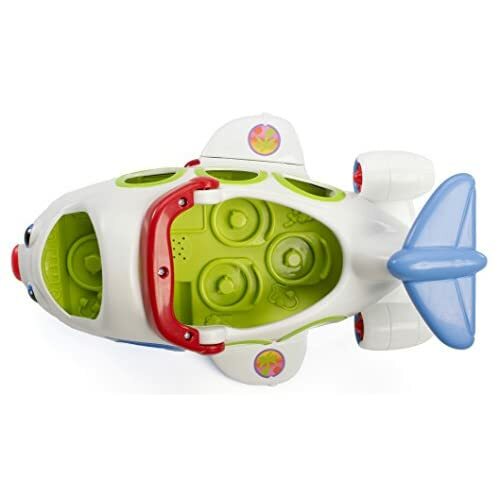 Push the plane along for a wiggly-wobbly ride! 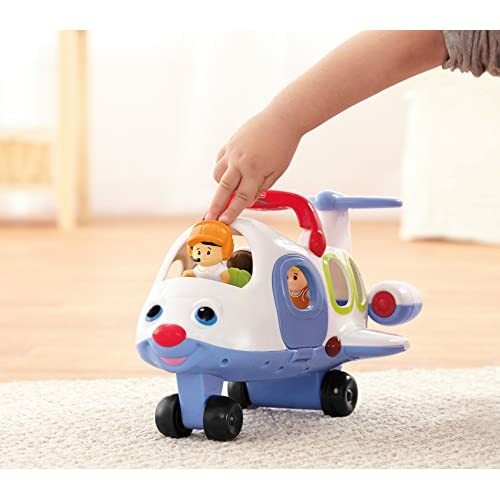 And when the plane really does “take off”, the easy-carry handle helps pretend “flights” soar through the sky!